Here at Serengeti Pride – Safaris & Kilimanjaro Climbs, we have found it so rewarding to be partnered with Pack for a Purpose. 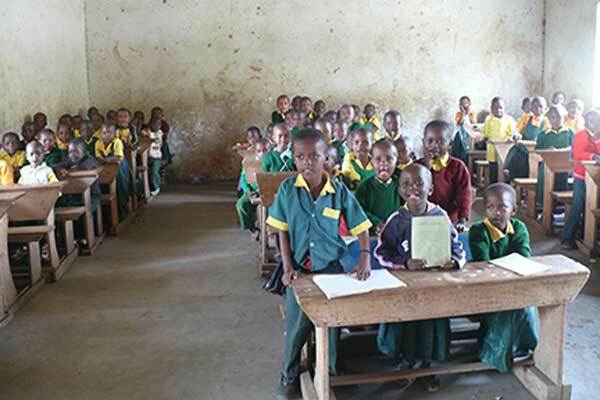 Our current project is donating school supplies to the Uraki Primary School, a local public school right near our headquarters outside Arusha, Tanzania. My business partner, Lema Peter, attended this school as a child! Our trekking and safari clients bring school supplies from home, or give us a budget to spend on locally purchased school supplies that are waiting for them to deliver to the school during their trip. Either way, many travelers tell us the experience of donating the school supplies and visiting the school is a highlight of their trip. I get surprise checks in the mail sometimes, from clients I know personally who want me to add their check to my own school supply fund that I have constantly growing in my desk drawer (I use birthday money, etc., to add to the school supplies purchase myself whenever I am with a group). The impact of giving on people’s lives is amazing – both for the donors, as well as for these great kids who are the future of Tanzania. Seeing them get new pens, pencils, and textbooks is a real treat for all of us and it so humbling to know we are in some way contributing to their education. Being involved with this project makes running our business so much more rewarding on a personal and global scale!